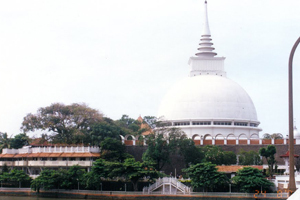 The Kalutara Bodhi or temple is one of Sri Lanka’s most holy places of worship for the Buddhists. This famed temple attracts both locals and tourists alike. The Dagoba has on display a fantastic array of paintings depicting the life of the Buddha. 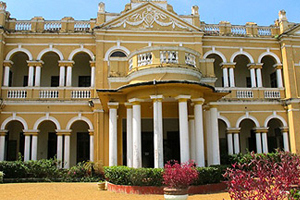 Located at Palathota, Richmond Castle is a historical building located close to Kalutara town. This ancient building is well known for its well preserved architectural features and is one of the few remaining buildings of the British era. 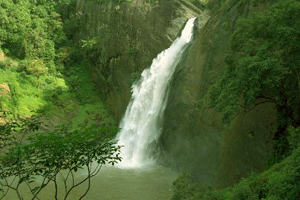 This picturesque waterfall is located close to the Thudugala Village of the Kalutara District and is one of the most beautiful in Sri Lanka. 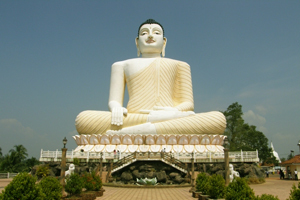 One of the tallest statues (160ft) in the world which displays the Lord Buddha in a seated posture. It is well known for its healing and calming powers. Worshippers from around the country flock to the Viharaya seeking comfort and solace. The Kshethrarama Pirivena, is also located within these premises. Originating at Adam’s Peak and reaching the sea at Kalutara, the Kalu Ganga (literally the Black River’) passes through the Ratnapura and Kalutara Districts. 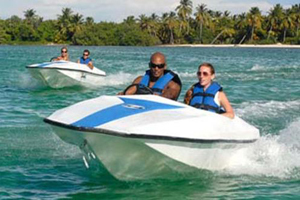 You could spend a quiet afternoon or evening taking a boat ride along its calm waters or if fishing is your ‘thing’ you will not be disappointed with what you catch in these waters!